Novo Nordisk is a global healthcare company with 90 years of innovation and leadership in diabetes care. 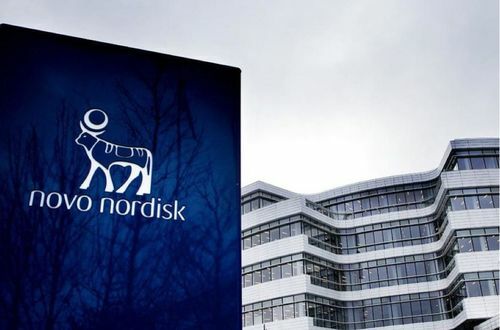 Novo Nordisk’s 90 years of innovation in diabetes care has given them experience and capabilities that allow them to work towards helping people defeat other serious chronic conditions: haemophilia, growth disorders and obesity. The Novo Nordisk numerical reasoning test comprises of a number of questions, usually 20, to be answered in an allotted time. Generally you are given one minute per question. They relate to graphs, percentages and tables whereby you will be asked to analyse data and choose from a set of multiple choice answers. This is designed to measure your numerical abilities. This test comprises of a number of questions to be answered in a set time. During the Novo Nordisk verbal reasoning test you will be presented with a series of paragraphs which you will be required to read and then answer questions. Your options will be True, False or Cannot Tell. This test will be assessing your analytical skills. You’ll be given a written case study exercise where you will be given materials to read briefly prior to writing up a report. This will be to assess your written communication skills. You’ll be expected to analyse the data and information given and then produce a written analysis and present your findings. There will then be a time for questions from the assessor so you will also be assessed on your presentation skills. You will be asked to sit a personality test which will include a number of words and statements which you will have to rate in terms of how important you feel each are. This test is designed to see what type of person you are and how you will fit into the organisation. The group exercise demonstrates how you work and perform in a team. The group will be presented with information, including a number of issues and you will need to produce solutions. Ensure to find a balance between speaking up and making your point but without dominating the group. You must show the assessor that you can work well in any situation, especially within a team as that is something that will be expected of you at the company. You will be expected to give a short presentation on a subject provided. You will be given time to prepare and will be allowed to take prompts in with you. This will be assessing your public speaking and presenting skills as well as how you perform under pressure during questions following your presentation.